The Badiola of S. Maria in Mamma, on the right bank of the Arno river, is one of the most ancient churches in Tuscany that belongs to the Benedictine Abbey of Nonantola. The most ancient document that concerns it, can be dated back to 1125. People of the Castle of San Mariano, which is next to the church, was tributary of the Badiola. The Castle of San Mariano was destroyed under the orders of the Florentine Republic in connection with the foundation of San Giovanni. After the destruction of the castle, for a certain period, the Badiola took the double title of S. Maria in Mamma and San Mariano. 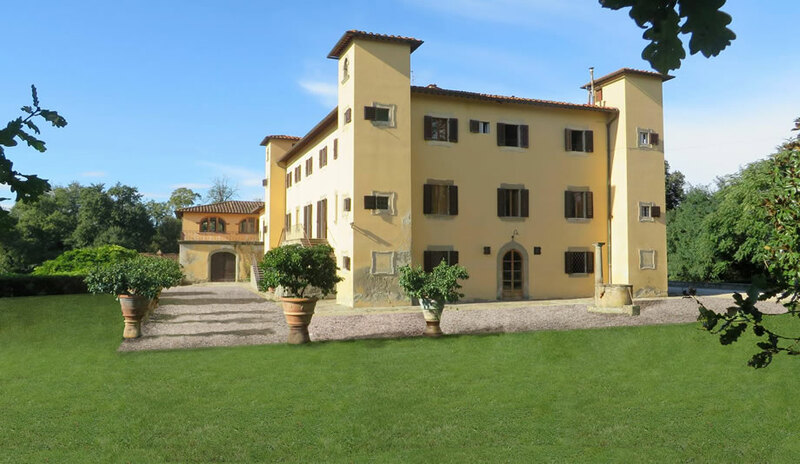 This was once villa and large estate of the Marquis Rinuccini, patrons of S. Silvestro church. It rises on the right bank of the Arno river , on a sandy hill to whom the place took the ancient name of Renaccio or Renazzo. 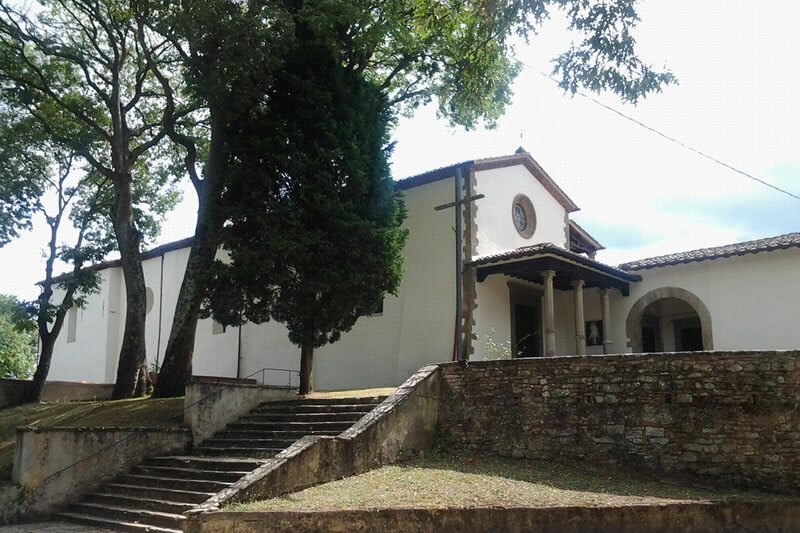 It is situated on the border between Fiesole and Arezzo dioceses: during the Middle Age the church of S. Niccolò al Renaccio belonged to the plover of Gropina in the Arezzo diocese while the parish of S. Silvestro in Renaccio belongs to the Fiesole diocese. The villa is immersed in a wood of secular holms and oaks. 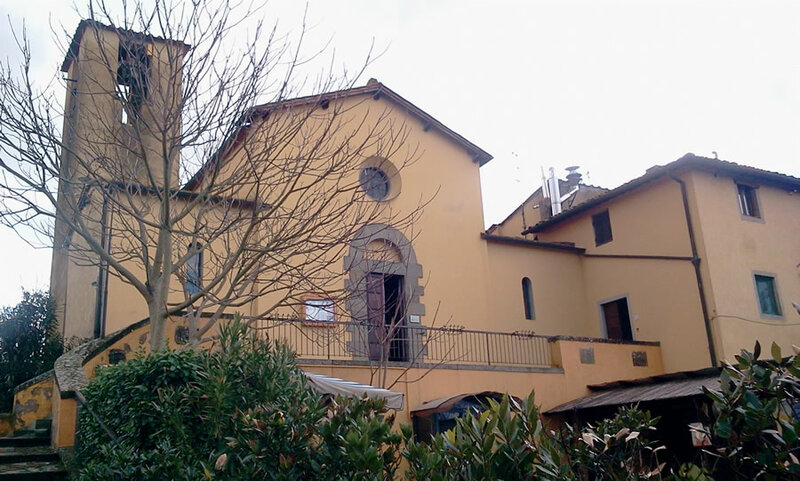 Not so far away from the villa arises the Church of S. Silvestro with its rectory, refined with a lean bell tower. The construction is dated back to 1704. Montecarlo, which is situated on the right bank of the Arno river, was called Monte Ortale during the ancient period. Here rised, at the beginning of the fifteenth century, a house owned by the Marquis Carlo Ricasoli, that he donated to the Franciscan priests of Ganghereto, in Terranuova. The construction of the monastery and the church is due to Ricasoli. In tribute to the giver was, at that time, that the place took the name of Montecarlo. Franciscan priests took the ownership of the monastery in 1429. The inhabitants of the Castle of Terranuova vainly tried to prevent the movement turning even to their influential fellow citizen Poggio Bracciolini. The church, like the nearby new town, was titled to San Giovanni Battista. Transformed during the baroque period, it was brought back to its original Renaissance appearance in 1916. The second altar on the right was preserved, until a few years ago, the famous “Annunciazione” of Beato Angelico, visible now in the Museum of Basilica. In recent years the Franciscan Community abandoned the monastery. The San Giovanni's Pro Loco association was founded in 1998 with the aim of highlighting all the cultural and traditional environment initiatives within the City. Ricevi in anteprima tutte le novità, gli eventi e le iniziative che la Pro Loco di San Giovanni Valdarno organizza!